SHORT-TERM LETTING platform Airbnb has said the new laws to regulate the renting out of properties will be “unenforceable”. Housing Minister Eoghan Murphy disagrees, telling the Oireachtas Housing Committee this week that where it is happening on someone’s road, “everyone knows the short-term let house”. He said neighbours see the wheelie suitcases going in and out of properties at all hours. For this reason, the minister said he does not believe that regulation and enforcement will be difficult. “I don’t think it is a hidden activity. It is happening right in front of us,” he added. Under the proposed new laws, homeowners who currently let a second property on a short-term basis will no longer be allowed to do so. Short-term lets of second properties will also not be permitted in Rent Pressure Zones, such as the city centre. Where a home or apartment is a person’s principal private residence, they will be permitted to rent out a room, or rooms, within their home for short-term letting without restriction. This includes B&Bs. 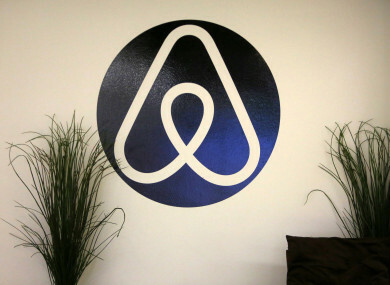 Airbnb argues that the new regulations will be difficult to enforce. “We want to work with the government on clear and effective home sharing rules that are good news for everyone. We have shared concerns with the government that current proposals are unenforceable and that rather than addressing local housing concerns, they would hurt local families, limit consumer choice and damage local economies,” the company said in a statement to TheJournal.ie. We have proposed clear rules that we believe balance the needs of everyone and that are consistent with our proactive approach in working with more than 500 governments around the world to help hosts share their homes, follow the rules and pay their fair share of tax. Fianna Fáil TDs such as Pat Casey said while he welcomed new law, he believed the legislation is “cumbersome” and will be “expensive to enforce”. He said planners in local authorities will be “bogged down” trying to identify properties who are in breach of the new regulations. “My responsibility is to the people living and working here,” said the minister. The minister told the committee that obviously, the new regulations will require additional resources for local councils, stating that he is going to give additional resources. Under the new law, which the minister said will come into effect in 1 July, local authorities will be tasked with whether to grant someone with planning permission for a short-term let. Concerns were raised about a possible backlog in planning permission applications, with some suggestions of an eight week turnaround. The minister said this would not be the case as “999% of applications are going to be told no, immediately, based on their address” as they will be in Rent Pressure Zones. O’Brien said there are a few exceptions, where are areas in RPZs are not experiencing rental pressure, and where short-term lets add to the locality. While Murphy said what he will be communicating to local authorities is there will be a blanket refusal to the short-term let of second properties in RPZs, the regulations will allow for a “common sense approach” to be used by local authorities. In the regulations, the minister said the common sense approach will allow local councils “who believe there is scope to show some flexibility in your rent pressure zone”. However, he said the message he wanted to convey is that he doesn’t want someone from Temple Bar to think they can “chance their arm and get through a gap – if you are in an RPZ you will not be able to let a second property for short-term letting”. The minister said there will be “one or two incidences” where it will be permitted, and the guidelines (which will be discussed further next week) will allow for that flexibility. Questions about the regulation of the short-term let platforms were also put to the minister. In an “ideal world” Murphy said the changes to the planning laws would be coming in at the same time as regulations for the platforms. However, he said the issue of regulating platforms such as Airbnb is a case for the Department of Tourism, he said, adding that he did not know the timeline as to when that might become a reality. “When we do go to regulate short-term letting platforms” planning legislation will be still be required, he added. Sinn Féin’s Eoin Ó Broin said regulation of the platforms is “really, really important” due to the level of information the companies hold. He said there should be a State obligation on the companies, such as Airbnb, to share the information on lettings to the local authorities, stating that it would make the council’s work “a lot easier”. He said the companies should also be obliged to share their customer and booking information with Revenue, so as to ensure everyone is tax compliance. Ó Broin said there should also be sanctions for platforms that advertise properties that aren’t in line with the regulations. Email “Airbnb says new laws are 'unenforceable' but minister says locals know the short-term let on their street”. Feedback on “Airbnb says new laws are 'unenforceable' but minister says locals know the short-term let on their street”.